08:00am Coach to Kuala Tahan, Taman Negara. 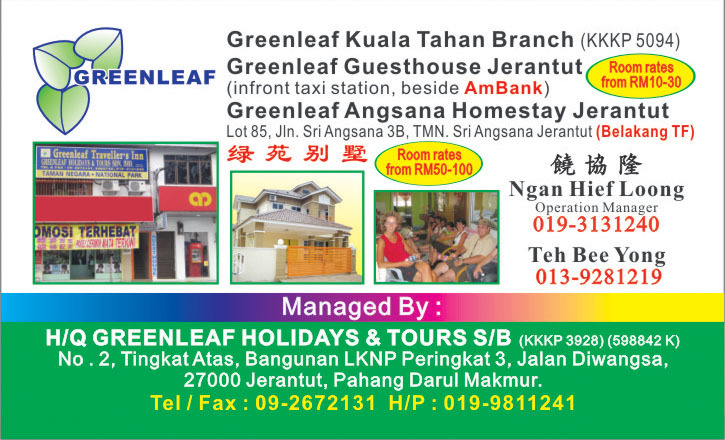 10:00am Expected arrival at Kuala Tahan,Taman Negara. 03:00pm Experience 45 minutes Shooting 7 sets of the Rapid to Kuala Terenggan. You must be prepared to get drenched/ Swimming at river side at Nusa Camp. 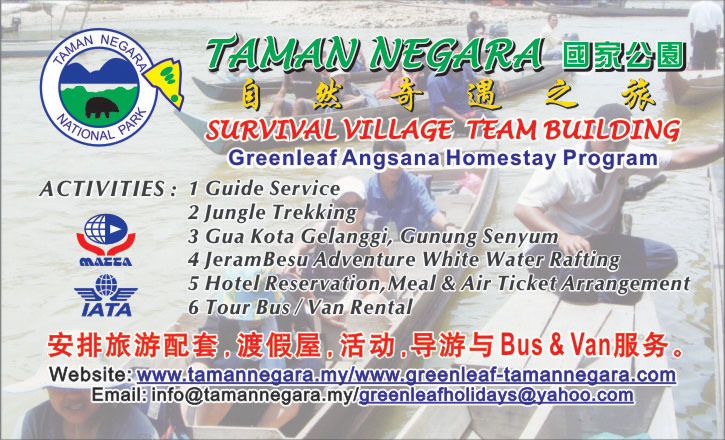 Around journey to back you can stop at the Orang Asli Village in natural habitat. 坐船去Kuala Trenggan, 勇闯七大激流探险, 新奇刺激, Rapids Shooting 河边天然浴泳. 回程时, 拜访原住民村落, 了解他们的生活习俗, 他们将呈献吹箭筒表演. 07:30pm Coach back to Jerantut.